At ACS Covers Ltd we provide custom fit covers for flanges that can be disassembled for easy access. 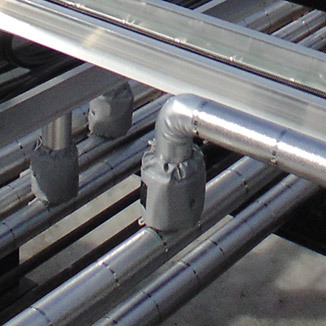 ACS Covers custom made removable flange covers allow you to disassemble flanges on equipment and piping systems without the worry of having to replace insulation. You can simply remove the cover and reinstall. Our removable insulated covers are measured on site and built to fit engineered specifications.